Ottawa is home to the Ottawa-Gatineau Chapter of the Canadian Society of Association Executives and their annual Tête à Tête event. 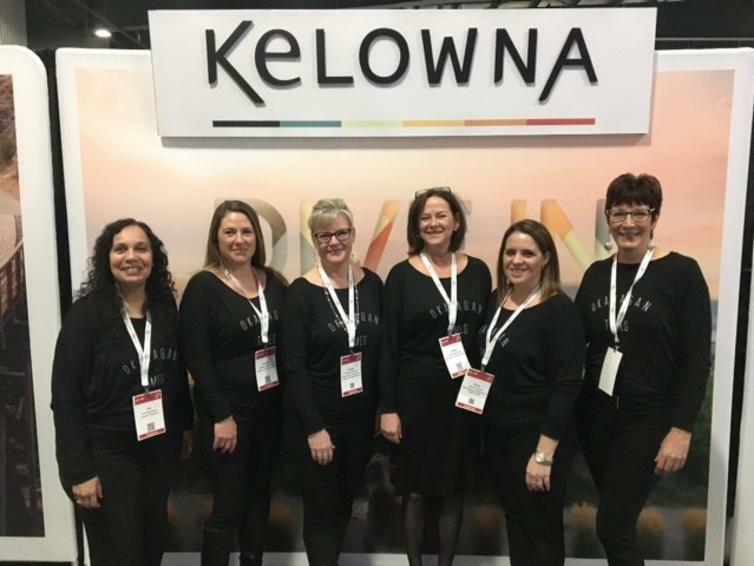 Lead by Tourism Kelowna&apos;s Pat Gappmayr, a Kelowna delegation arrived in our country&apos;s capital this past week to promote meetings and conferences in our city. The week kicked off on Monday with a destination hosted-buyer reception and dinner for 28 planners. Then on Tuesday with Destination Direct, a day-long series of scheduled appointments between destinations and meeting planners. Pat spoke with 15 different planners and showcased the various venues and activities in our city. That evening, Mission Hill Family Estate, The Cove Lakeside Resort, Manteo Resort Waterfront Hotel & Villas, Cantrav, and Delta Hotel by Marriott Grand Okanagan Resort. attended Reveal, a networking event for both meeting planners and suppliers. On Wednesday, they manned our new twenty-foot booth for a day-long trade show event, where 70 planners stopped by our booth to connect with our Kelowna partners. Thursday was a jam-packed sales day with the group hosting eight representatives from Meeting Encore along with 11 of their clients for a breakfast. Afterwards, the delegation attended a PCMA workshop and networking event, again connecting with different meeting planners. Finally that evening they attended the MPI Charity Dinner where the group offered up a Kelowna prize package in the silent auction valued at $4,800 adding extra exposure to the destination and our services and amenities. For more information on these sales initiatives and other opportunities in the Toronto area, please contact Pat Gappmayr at pat@tourismkelowna.com or at 416-265-3464.